The music of Tom Petty and The Heartbreakers was consummate. I mean that, no matter whether I was wrong or wronged, there was a Heartbreakers song that spoke to me. I once mentioned to my niece Johanna that I was a big Tom Petty fan. “Yeah, I know,” she said in the “duh” tone of a teenager. “You do?” I didn’t remember ever talking to her about it. “We have your old desk in my house,” she explained. That desk was one of a pair of really sturdy, probably now-antique school desks we had growing up. I remembered graffiti-ing it with the names of my crushes. At the time I used that desk, my bedroom was decorated rainbow window shades. 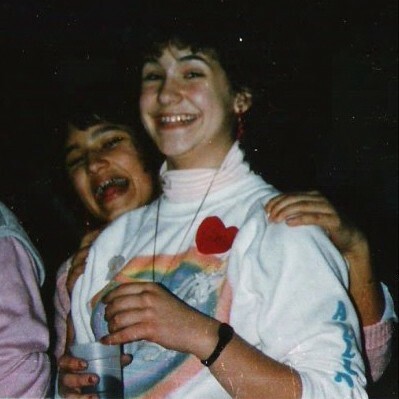 My closet alternated Cyndi Lauper neon and unicorn iron-ons and you’d never mistake my stuff for yours because all mine was personalized. With puffy letters. Unicorn? Check. Hearts? Check, check. Wearing my own name? Check, check, and check. #SoEighties. On the upside, those markers really hold up. 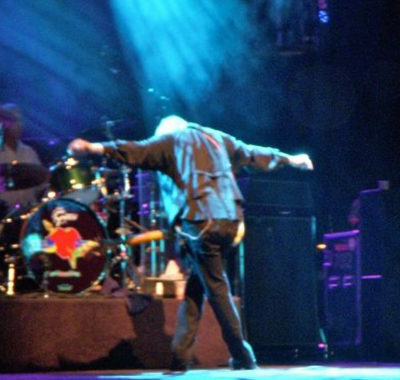 I didn’t see Tom Petty and the Heartbreakers in concert until 2008. I justified spending hundreds of dollars on floor seats at The Gorge by telling myself it was probably the only time I’d see them live and I’d be damned if I needed binoculars to see the band. It was an amazing show, of course. I took bad video and photos that do not do justice to sound and experience of being in the middle of that performance. 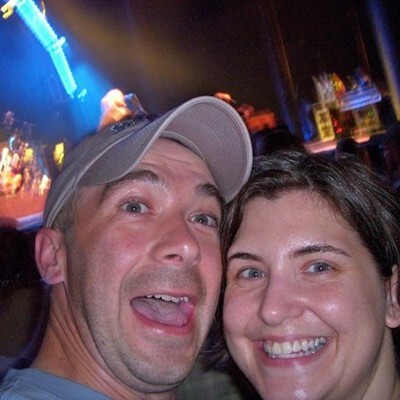 My Tom and me, with Tom Petty in the background. Really, that’s him! The little preppy nerd girl who defaced an antique school desk would have traded her entire sticker collection for that show. 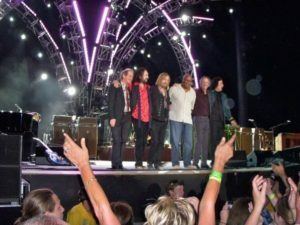 Tom Petty and the Heartbreakers weren’t just musicians, they scored so much of my life: leaving home, falling in love, heart-dragging break-ups, unfair bosses, and better-off-without-you phases. For each of these, there’s a graveled chorus uncoiling from my chest. A bone-born melody to which I know all the words. If I was wrecked, he got me. Having his music with me made it better. 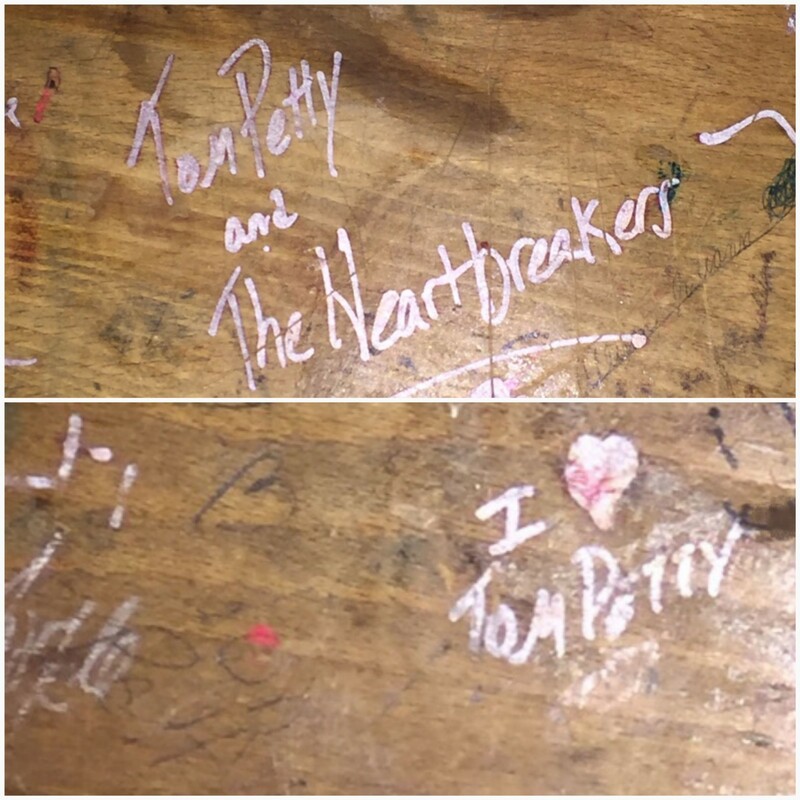 Posted in personal and tagged the eighties, tom petty, tom petty and the heartbreakers.